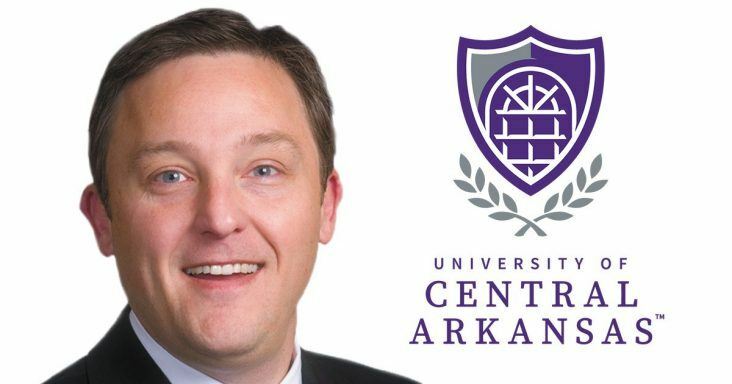 Arkansas House Speaker Jeremy Gillam, R-Judsonia, is resigning both the speakership and his House seat effective June 15 to become the University of Central Arkansas’ director of governmental affairs and external relations. Gillam is scheduled to begin his new job June 16. He submitted his resignation letter to Gov. Asa Hutchinson on Wednesday (June 6). Gillam has scheduled a House Caucus meeting to address the transfer of his office for 11:30 a.m. June 15 in Room A of the MAC building behind the Capitol. Rep. Matthew Shepherd, R-El Dorado, was elected the incoming speaker of the House at the end of this year’s fiscal session on March 12. First elected to the House in 2010, Gillam was elected speaker in January 2015 and is the fifth person to serve more than one term as speaker. He also serves on the House Judiciary Committee and House City, County and Local Affairs Committee. In an interview, Gillam said the transition, likely to Shepherd, will occur during the June 15 meeting. Gillam will resign as speaker but not as a legislator until 5 p.m. He expects a nomination process and then a vote by acclimation for Shepherd. “Based on the conversations I’ve had with the members, that seems to be everybody’s mindset is that that’s the most logical and prudent and responsible thing to do is to have him be the speaker and finish out this term,” he said. Gillam had told Shepherd some time ago it was possible he would not finish out his term if a job opportunity presented itself. In the last few days, Shepherd was aware it was a serious possibility, and Gillam informed him Tuesday he was resigning. Gillam said last year he and his family decided at the end of the regular session that he would not run for re-election to his House seat. At the end of the last summer, he and his brother decided to leave their berry farm business. Gillam’s salary will be $130,000, according to UCA spokesperson Christina Madsen. Under a constitutional amendment passed by voters in 2014, members of the General Assembly cannot become lobbyists until two years after the their term of office expires. Madsen said that prohibition does not apply to Gillam. “We recognize that a former member of the General Assembly is not eligible to be registered as a lobbyist for two years, but a public employee is not required to register as a lobbyist if he engages in no lobbying other than action in his official capacity as a public employee,” she said. According to the Arkansas Ethics Commission’s Rules on Lobbyist Registration and Reporting, “‘Lobbying’ means to communicate directly or solicit others to communicate with any public servant to influence legislative or administrative action.” Anyone who receives income or reimbursements of $400 per quarter for lobbying activities is required to register as a lobbyist. However, “public servants” including public employees are exempt from that requirement. Gillam will be an employee of the University of Central Arkansas. Gillam said in an interview that he had relied on precedents set by previous legislators who have left their offices to work for a state agency. Sen. Johnny Key, R-Mountain Home, now the state’s education commissioner, resigned his seat in 2014 to become the University of Arkansas System’s associate vice president of university relations. That was before voters had passed the amendment, but at the time legislators could not register as lobbyists for one year from the expiration of their time in office. However, they could seek to influence legislators as employees of the system.